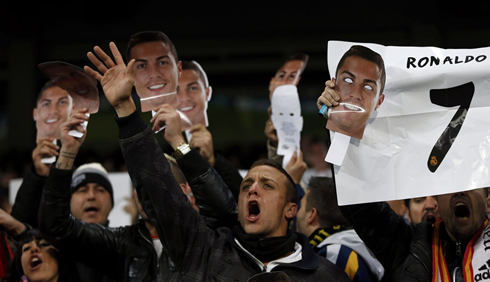 Real Madrid passed their "Ronaldo dependency" test this Wednesday night, as they hosted and defeated Galatasaray by 4-1, in a game where Cristiano Ronaldo was just one more spectator in the stands. The Merengues managed to easily grab the 3 points thanks to goals from Gareth Bale, Arbeloa, Di María and Isco, with all those goals only taking place after the home side got reduced to 10 men. Before this Wednesday's night game, there were a few concerns and doubts regarding Real Madrid's capability to showcase their superiority in a game where they knew they couldn't count with Cristiano Ronaldo. The Portuguese forward, who is still recovering from a minor left thigh injury, didn't get fit in time to give his contribution to the team in tonight's game against Galatasaray. Nevertheless, Carlo Ancelotti's men responded positively to the challenge and easily cruised past the Turkish champions at the Bernabéu, in a clear 4-1 win. Despite Sergio Ramos red card deep in the 1st half, Real Madrid never lost the control of the game and outplayed Galatasaray without much trouble. Gareth Bale scored the opener from a terrific free-kick still before the break and then he saw Arbeloa, Di María and Isco completing the rout to secure the Merengues 4th win in 5 games. 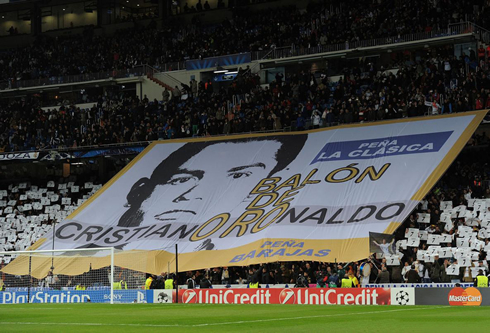 Ahead of tonight's game kickoff and even though it was public that Cristiano Ronaldo wasn't going to play, the Santiago Bernabéu crowd came forward to show their support for the Merengues' main star for the past years. 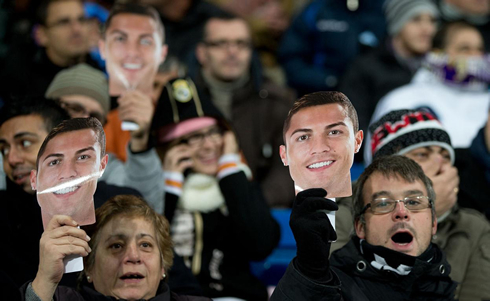 Close to 45.000 Ronaldo's face masks were handed to the fans before the game started and everyone seemed to be in harmony with their support for CR7's campaign to win the FIFA Ballon d'Or 2013. The Portuguese forward was visibly happy in the stands and later in the game he ended up thanking the fans for their support through a message on his Facebook and Twitter pages. Looking back at the game, we could tell Galatasaray had a lot more at stake than Real Madrid, but judging from what we've ended up seeing on the pitch, it actually seemed more the other way around. Nonetheless, it took some time for the Merengues to settle in in the game and the curious thing is that it only happened after they got forced to play with 10 men. As we were entering the 26th minute of the first half, Sergio Ramos made a childish mistake when he granted too much space for Umut Bulut to control a long ball with his chest, which allowed him to race towards Diego López goal without any opposition ahead of him. The former Sevilla player couldn't resist to slightly pull one of his opponent's arms and it was all it took to bring him down as he was getting close to enter the penalty area. It left the referee with no other choice but to show the red card to the 27-year old defender and forced Ancelotti to make a few adjustments. The home side advantage wouldn't last long though, as Galatasaray managed to equalize the game just one minute later. The former Chelsea legend Didier Drogba spotted Umut Bulut escaping Pepe's marking and immediately assisted him for a 1-on-1 situation against Iker Casillas. 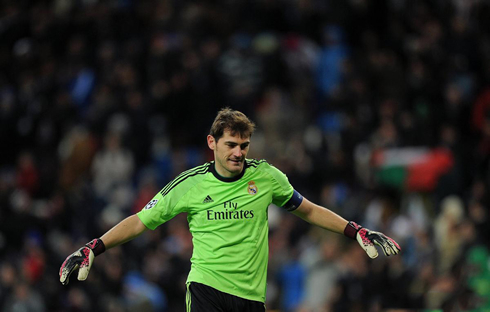 The 30-year old forward didn't tremble under the pressure and finished it off with a right-foot strike that went right below Casillas body. Back to square one with still more than half game left to be played and Galatasaray with one more man on the pitch. Ancelotti didn't make any further changes to his team during the break and the home side ended up returning to the field of play with the right mindset to beat an opponent when you are playing one man short. 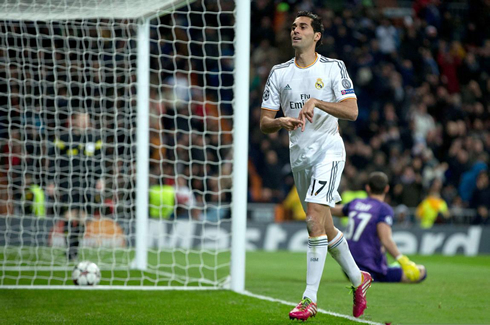 The Merengues kept pushing forward and got rewarded around the 51st minute, when Angel Di María's cross on the left found Arbeloa completely unmarked inside the area. The former Liverpool right-back finally managed to score again for Real Madrid, nearly 3 years after his last goal (against Ajax, on November 23 of 2010). It's Arbeloa's 4th goal for the club (out of 119 apperances), two of those for La Liga and the other two scored in the UEFA Champions League. Many times unloved even by his own team supporters, Arbeloa was decided to sign one of his best performances ever with a Real Madrid jersey. The right-back was feeling inspired and willing to keep going upfront to help in the attack, so it was no big surprise to see him playing an important part in Real Madrid's third goal. It all happened in the 63rd minute, when Isco left the ball over to an Arbeloa that appeared like a bolt rushing from behind to support the attack and then the same Arbeloa quickly passed it to his left to Angel Di María, for the Argentinian to easily strike the ball past Eray Iscan. 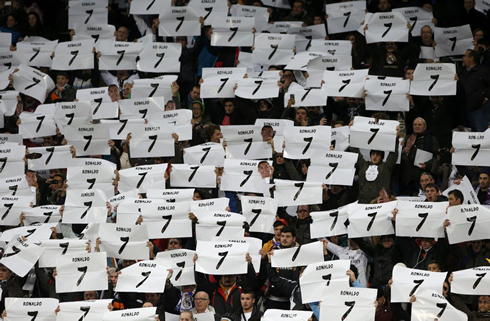 It was Arbeloa's night and after that play, the Bernabéu also decided to pay their tribute to the 30-year old, chanting his name in one voice all across the stadium. 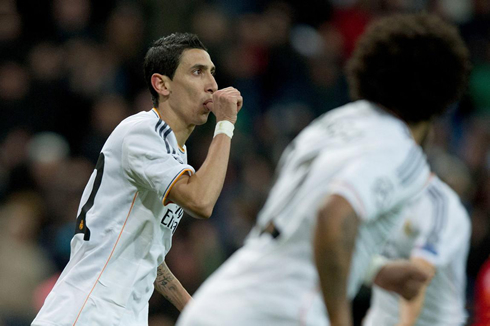 The fourth and last goal of the night was probably the most beautiful one as well. Real Madrid may have lost Ozil to Arsenal right at the end of this summer's transfer window, but they knew what kind of talent they were getting when they brought in Isco for the first team. The former Malaga midfielder dribbled several defenders with the ball always glued to his feet and then finished it off with his left, as he apperaed to have all the calm in the World. The final result had finally been set with the 4-1 on the scoreboard and Real Madrid is now the top goalscoring side in this UEFA Champions League edition, with 18 goals in 5 games. 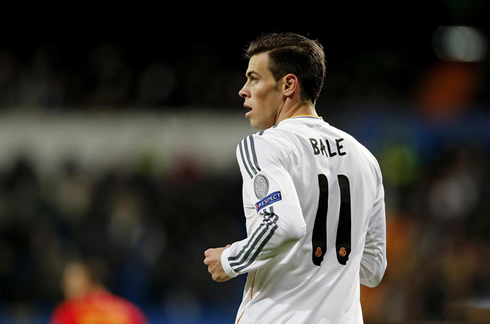 Attackers: Gareth Bale, Angel Di María, Jesé. 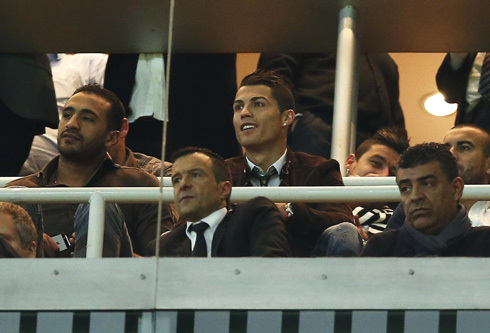 Cristiano Ronaldo next game will be for Real Madrid against Valladolid for La Liga, this Saturday (November 30, 2013). You can watch Juventus live stream, Real Madrid vs Valladolid live, Athletic Bilbao vs Barcelona, Tottenham vs Manchester United and Cardiff vs Arsenal, all matches provided from our sports streaming section.